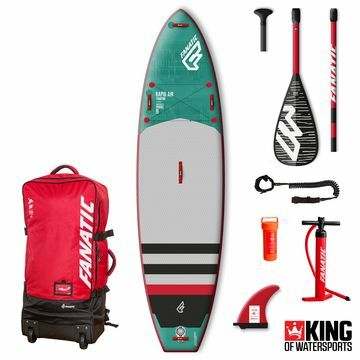 Thanks to their trailblazing innovation, design and three decades of history, Fanatic has achieved the reputation as one of the world’s leading Watersports brands. Their continuous R&D process which is carried out in different locations around the world makes their inflatable boards some of the most advanced on the market. This is their premium construction which offers great durability but at the same time is super light in weight. Compared to the standard Double layer technology the benefits are 20-25% reduction in weight and around a 25-30% increase in stiffness. 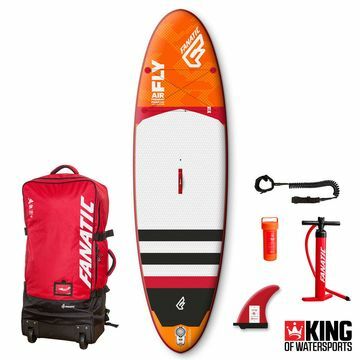 This technology is found in their Stubby Air, Fly Air Premium, Ray Air Premium and Falcon Air which allows these boards to be strong, stiff, durable yet easy to carry so that everyone can get in on the fun. This construction is built to last and is ideal for heavy duty usage. The triple layer rail construction gives better stiffness and durability. This technology can take more than 20psi of air pressure if needed and guarantees stiffness and performance. 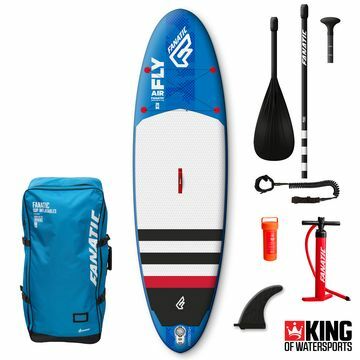 You will find this technology in the Rapid Air, Rapid Air Touring, Ripper Air WS, Viper Air WS, Tandem Air Premium, making these boards bulletproof, super stable and providing the ultimate in performance. Using the best drop-stitch material available on the market their stringer technology provides the perfect durability: weight : price ratio. This technology is found in their Fly Air, Diamond Air, Diamond Air Touring, Ray Air and Fly Air Fit which all benefit from outstanding rigidity without additional air pressure whilst ensuring fast and easy inflate/deflate functions and effortless transportation. This construction is based on a single layer drop stitch technology which uses all the top quality materials and production standards you’d expect from Fanatic whilst being easy on the pocket too. 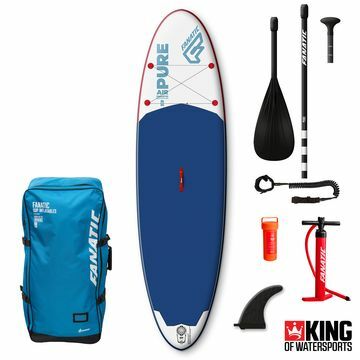 This technology is found in their entry range which is designed with everyone in mind and includes the Pure Air, Pure Air Touring, Ripper Air Touring, Ripper Air WS PURE, Viper Air WS Pure, Air Mat. These boards are budget friendly, light and durable and above all forgiving. It’s guaranteed SUP fun for all levels!